It is Armistice Day. Poppy day. The amazing installation at the Tower of London has caught the imagination of the country. 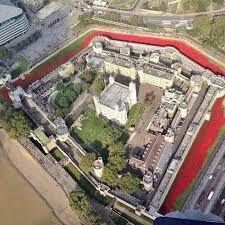 888,246 ceramic red poppies ‘planted’ in the moat of the fortress, each representing a British fatality. 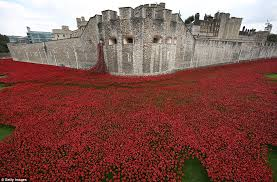 That’s a huge number of men (and women too) whose lives ceased to existed in the battlefields. Not just from wounds, but disease. Courageous, maybe foolhardy, teenagers who never had the chance to contribute to society beyond their personal sacrifice. Their legacy was to die young. All those lives cut short. I try to imagine such a scale these days. Would men – and women – sign up in the thousands for war? What would drive them to make that ultimate sacrifice, risk life altering injuries, unbalance their mental health? We have professional soldiers, but conscription and volunteering on the scale of two world wars, could that be repeated in the age of social media and instant images, when it is harder to hide the horrors? I don’t know and I hope we never have to find out. 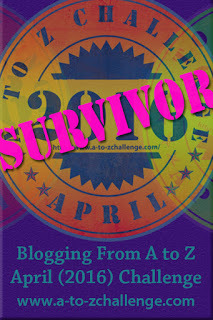 The days of massive armies staggering across muddy fields have gone. Warfare is sophisticated, impersonal and distant. It isn’t about soldiers. These days ordinary people are the battlefield casualties. 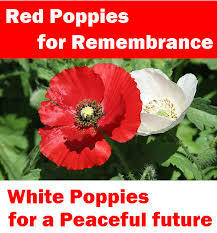 So for every red poppy, remember the white one – the pledge for peace.